That's awesome! 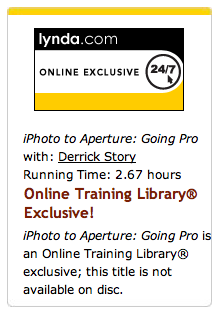 I didn't know you could use Aperture's book thingy that way. Thanks. curious Derek...you print on the Red River paper using the Epson glossy ICC profile, instead of Red River's profile? As for ICC profiles, I used the Epson glossy for the Pecos River Gloss, and my color was quite consistent. If I didn't like the look after a test, then I wouldn't think twice about downloading the ICC profiles from Red River. I've had good luck with them in the past. 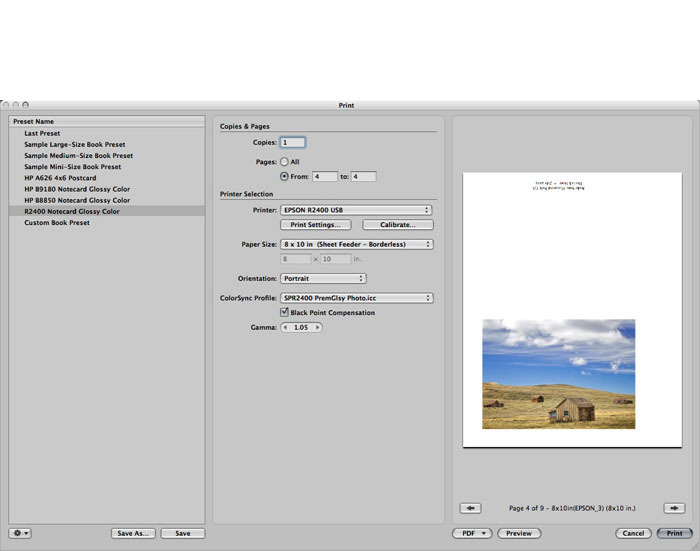 As for the flexibility of the Book Making feature in Aperture, it's virtually unlimited once you get the hang of it. Listen to that podcast about it. It's very cool. I love Aperture's book tool and use it for more than books, but still hadn't thought of making folding cards with it. Thanks for the tips. Thanks, Derrick, for the tip. I have been doing something like this using Word, but being able to do it right out of Aperture is sure a plus! One problem I am encountering, though: how does one rotate a text box 180Âº in the Aperture book utility? Can't find a menu command anywhere. Okay - I just ordered some sample packs from Red River right now. I am going to experiment even though I don't have the best printer in the world. I love my Aperture and I haven't done any of the book stuff yet. I look forward to giving this a try. Thank you so much for all your tutorials on these things! Great tutorial. I found that the master template already had a photo box, so did not need to add one. 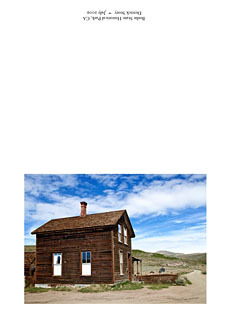 Question: I found that for a 4" x 6" wide photo, through trail and error, to set the X coordinate to 0.4 inches. So, when printed, the photo box would be centered on the 7" paper. However, I would have thought to set the X coordinate to 0.5 inches for centering. Is this discrepancy due to printing 7" wide paper with an 8" printer setting? I found a way to make a portrait (vertical) notecard. 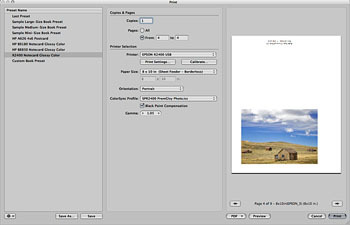 Just create a new custom book template specifying 10" width and 7" height. The rest of the process flow follows what Derek has already provided. exemplary work. You have gained a new fan. Please keep up the good work and I await more of the same interesting posts. Excellent work. You have gained a new reader. I hope you keep up the good work and I await more of these excellent posts. May I congratulate you on your Excellent work.You have won me over and gained a new fan. in comparison to many of the posts on the world wide web this is a masterpiece, I am ecstatic that I found your work. I will be linking to this from all my sites. Fantastic work. You have gained a new fan. I hope you can keep up the good work and I look forward to more of these absorbing posts. I wondered if you could recommend another software other than Aperture. I don't have a MAC, but I do have Lightroom, Adobe Acrobat, Photoshop, etc.